What equipment do you need to play golf? Well, it depends. Not the answer you were looking for eh? 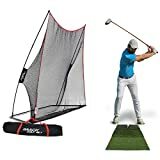 It depends on how often your play; so, for example someone who plays golf 3 times a week may need slightly different equipment to those who just golf once a month. It depends on what golf equipment your already own – there’s no point in purchasing another 20 golf balls when you’ve already got 10 lurking round the house somewhere. And it depends on the course you’re playing at and the weather conditions amongst many other variables. – Taking up room on your bag with a bottle sunscreen won’t be much use if you’re playing in Scotland during the winter. 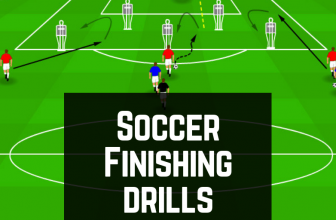 Taking all these things (and a few others) into consideration I’ve compiled a detailed checklist that covers the essentials, some accessories and few pieces of training equipment that’ll help you improve your game. Essential Golf Equipment: What Do You Need to Start Playing Golf? In order to actually play golf you’re going to need a few clubs. But, contrary to popular belief you don’t every club under the sun in your bag. First and foremost asking yourself the question as to ‘where’ you’re playing will help with club selection. If you’re only going to the driving range bringing your sand wedge might be a bit too far. If however you’re heading to a 18-hole monster of a course then your club selection will need to reflect this. What’s your playing level or handicap? 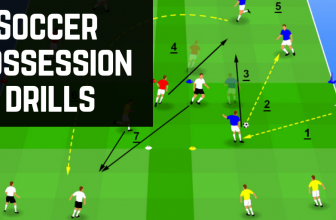 Another thing to take into consideration is your playing level. In general, beginners will need slightly different selection of clubs than a low handicap player. For example; a low handicap player might want to carry a good selection of low Irons – 2,3,4 for example. Hybrid golf clubs are great replacements for hard to hit irons. They are made in such a way where the weight in the club is located further back from the face of the club. This offsets the centre of gravity to the rear of the club head which in turn makes it easier for you to get the ball airborne and ultimately make a cleaner but consistent hit. So, what clubs should you have in your bag? With that said, what clubs should you have in your bag? Well, each player has different preferences. 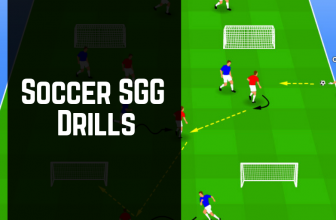 What’s right for you might be wrong for someone else – so it’s important practice as possible to fine-tune your club selection. A beginner’s golf club selection might consist of; a Driver, 3 Wood, 5-6 Hybrids, 7-8-9 Irons, Pitching Wedge, Sand Wedge and a Putter. Although it doesn’t have all the clubs I listed above – it does have a healthy selection of clubs perfect if you’re just starting out playing golf. An intermediate players golf club bag might have; Driver, 3 Wood, 3-4-5 Hybrids, 6-7-8-9 Irons, Pitching Wedge, Sand Wedge and a Putter. 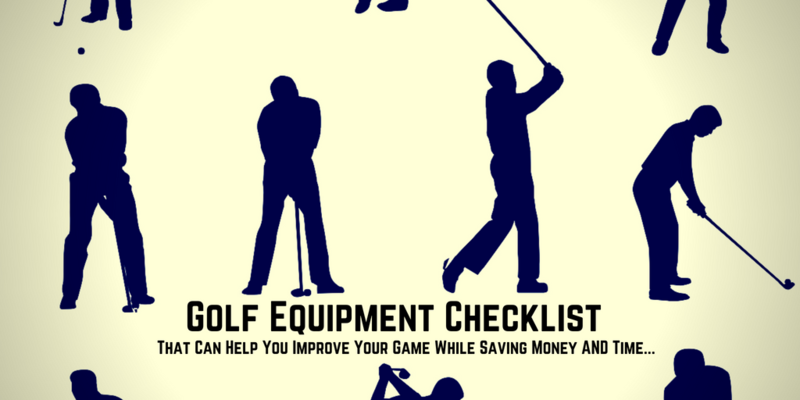 This is a full golf clubs checklist for you to use – remember though; you don’t need every club on this list. Unless you intend to carry your golf clubs round individually, you’re going to need something to carry them in – most individuals tend to opt for the safety of golf bag. You’ll want to grab a golf bag; that doesn’t fall over easily when you set it aside for your shots, can be easily carried and doesn’t take up an enormous amount of space. Golf bags like the Callaway one above are great if you don’t intend to carry your bag very far, use a golf buggy or have someone else to do the heavy lifting. But, what about if you intend to play a quick 9-hole? Pitch and Putt? Or, what about if your intend to travel to Europe for a quick weekend game? That’s where lightweight golf travel bags come in handy. 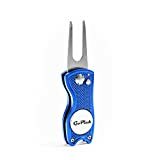 They don’t have as much space as your average golf bag and they tend to come with less ‘bells and whistles’ but if you’re carrying less clubs, travel more miles or getting sick and tired or your big bulky bag – they’re one to check out. Golf Bag Essential Items: What to put in your golf bag pockets? 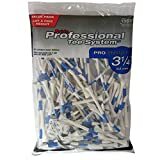 Tees: Metal ones, magnetic ones, wooden and plastic ones – Golf tees are an essential part of your kit. They’re usually pretty inexpensive and come in large packets. You’re also going to need a pair of golf course friendly shoes. Not only to look after the course itself but to stop you from going head over heels after a shot. In times gone by, Golf shoes weren’t the nicest looking pieces of clothing you could’ve bought – but these days things have changed. Head covers not only protect your clubs from smashing against each other but they can also protect them from weather too. Rangefinders can assist you in determining the distances from your ball to the hole. Once you know the distance, choosing the right clubs and hit power become easier. Rangefinders are basically like your very own caddie that you can carry round in your pocket. GPS rangefinders tend to already have the course mapped out and built into it. 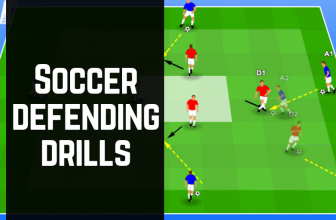 Because of this, they they’re much quicker at laying out the distance for you so you can get on with taking your shot. 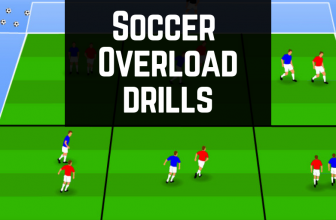 Usually what happens is you’ll load the course onto your device before you leave the house and then check it periodically throughout your game. The great thing about GPS rangefinders is the level of detail they can give you on a course – this is especially useful for courses you haven’t player before. Some come very basic with just the numbers and details on the screen – others have a more visual look to them where you can actually see the course you’re playing. On the downside the accuracy and course availability can be sticking point for GPS rangefinders. If you decide to go with a GPS then just make sure you read the reviews on the accuracy details and whether or not the courses you’ll be playing at are mapped to the device you’re buying. If on the other hand you want to save yourself a bit of time a laser rangerfinder might be a better choice. The biggest pro of laser rangefinders are their ability to accurately detail the distance from yourself to your target. Another pro that laser rangerfinders have is they can be used on any course in the world without you having to load the course map onto your device. Spending time at the driving range is a great use of time if you’re looking to improve your game. The big downside to this however is the time and cost of packing your clubs up and putting them in the car, driving down to the range, paying for a bucket of balls and packing everything away and driving home again. I don’t recommend you stop doing this altogether but for those days where you want to save a bit of cash or time, purchasing an inexpensive piece of equipment can go a long way. 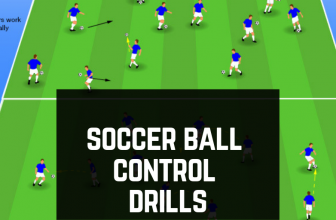 If you’re looking to improve your game in any way at all – knowing what training equipment is available to you is time well spent. These days you can improve your chipping, driving technique and swing mechanics right from the comfort of your own home or backyard. The chip shot often occurs very close to the green and has a relatively small swing. Because of the short swing it can be a very hard shot consistently play. And, it’s an important shot to master as you could easily add another 2 or 3 unnecessary shots to your game if you’re not careful. A great way to develop this shot is to use a chipping net. Some chipping nets come with 1 target to aim at, some with multiple targets. 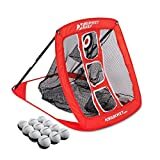 This pop up net from RUKKET can be set up seconds and takes up very little room. 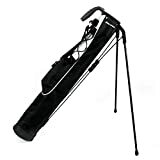 It comes with 3 targets so you can practice chipping at varied heights and comes complete with a carry bag for easy portability and storage. The drive shot is not only an extremely important part of golf but is also an incredible hard shot to master. Again, while this all can be achieved by spending some time either on the golf course or at a driving range – you could purchase a driving net to complement your driving range practices. Without the ability to control and improve your swing – you’re going to pretty-much struggle hitting the ball let alone improving your game. A great way to achieve these areas is by investing in a swing trainer. 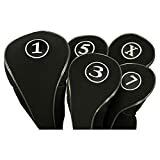 Now, swing trainers can come in various shapes, sizes and each one can help different parts of your swing – so it does help to have a little bit of knowledge on what part of your swing you’ll need to improve. That said however, this next one I’m recommending can achieve most of (if not all) of the above areas. 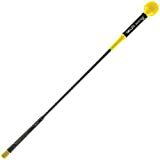 With a healthy amount of reviews, the SKLZ Gold Flex can help you increase the range of motion in the back swing, improve your follow through and overall help you improve your swing mechanics so you can start hitting balls more accurately with consistency. Volleyball Equipment Checklist: What Volleyball Equipment Do You Need?